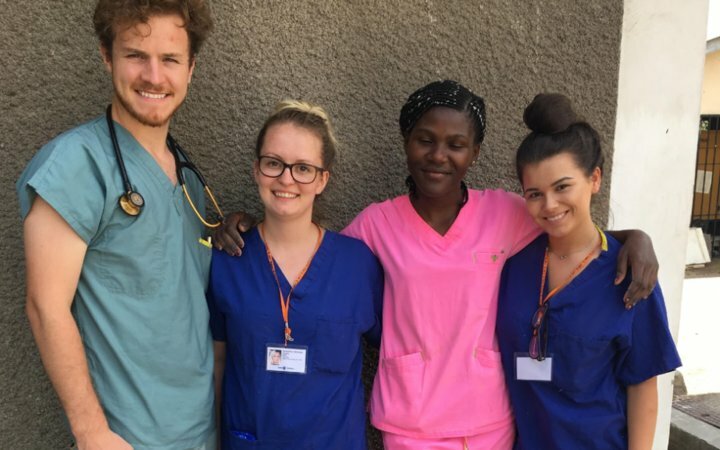 When I found out my University would support midwifery students in doing an international placement, I knew straight away I’d be heading to Africa. 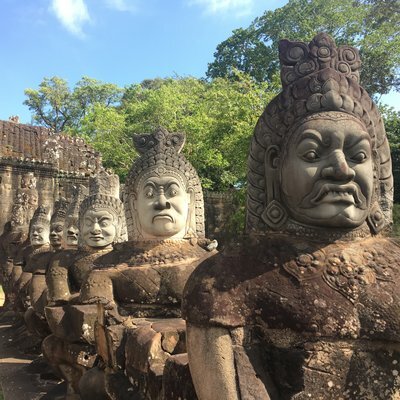 Travelling with with an organisation that would take away the hassle and risks of arranging an overseas placement by myself was important to me. I spent a lot of time looking into it and I came across Work the World who offered tailored placements in Africa, Asia and Latin America. After some insightful conversations with Work the World's consultants, I registered to travel to Dar Es Salaam in Tanzania. Work the World's amazing Operations Team then got in touch to discuss what I wanted to get out of the placement on a professional and personal level. From there, the team tailored my experience in alignment with my interests. On arrival in Tanzania, the smiley Work the World team were waiting to collect me with a much needed bottle of cold water in hand. 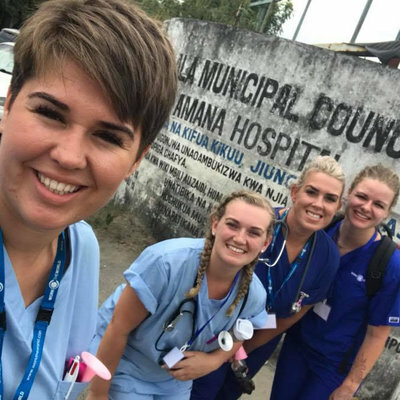 We drove to the Work the World house, in which there were already other healthcare students and professionals; nurses, medics, physiotherapists and dentists included. It was a warm welcome! On the first morning, the Work the World team took us on a hospital orientation. We caught the dala dala (the name ofthe local bus), which we would ride each morning thereafter. When we arrived, I was introduced to the staff I'd be working with and the areas and departments I’d be spending time in like the antenatal, postnatal, labour wards. This was my first glimpse of healthcare in Tanzania. After visiting the hospital, the team took us out for a delicious welcome lunch to try some local food. Next, we took a tuk tuk to a local shopping area and tried some ice-cream as we explored all the local shops and amenities. On day two, it was time for my clinical placement to start. I observed everything from a ventouse delivery to women being sutured with no pain relief. Another surprising difference was that women were encouraged to stay quiet during both labour and the birth itself. I remember seeing a midwife slap a woman on the leg as she was making 'too much' noise. 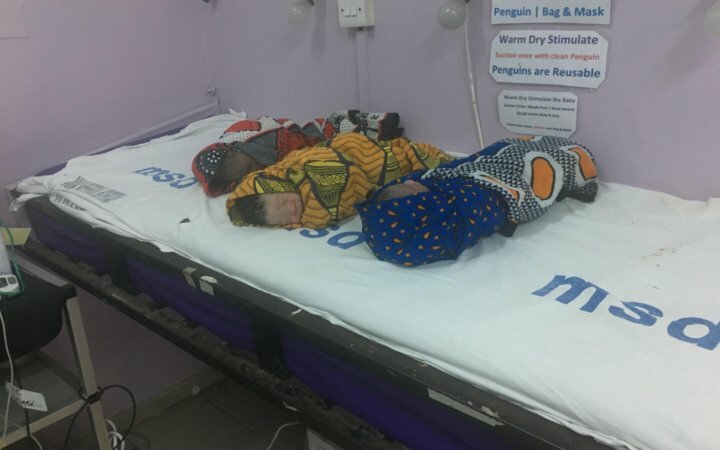 This is completely normal practise in Tanzania and I was completely prepared for it as the Work the World team discussed with me what I could see on placement. It's important to stay open minded while you're on any overseas placement and to not judge. The staff at the hospital were fantastic in supporting me. They enjoyed learning about midwifery in the UK, too; I was able to show them how we check placentas, which wasn’t routine for them. I also showed them resuscitation skills used in the UK as they generally used suction instead of resuscitation. It was really valuable being able to share our own knowledge with one another and learn about all the contrasting practises. 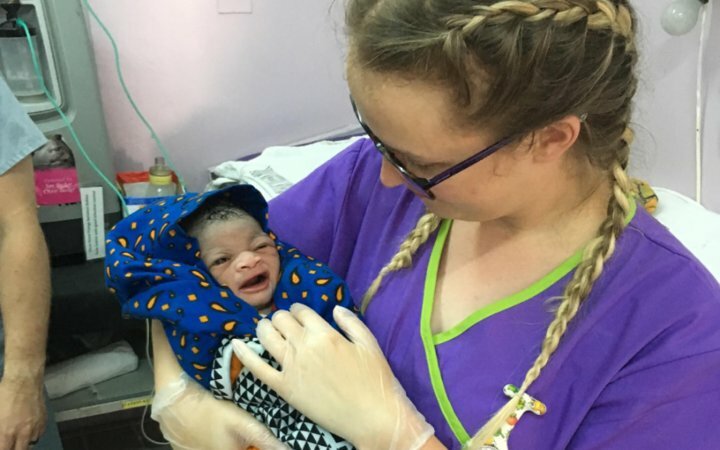 Newborn babies aren’t typically given skin to skin in Tanzania, so they are usually taken by the midwife, weighed, swaddled and put with the other newborns until the mother is ready to come and feed them. The women bring their delivery packs with them, which include cotton wool, sterile gloves and a razor (for an episiotomy and to cut the cord). I saw a fetal bradycardia which ended in an episiotomy, a ventouse delivery, and also assisted in deliveries of floppy babies that thankfully did not need resuscitation. In terms of communicating with local people out and about and in the hospital, Work the World arranged for us to have Swahili lessons at the house twice a week. I found this extremely beneficial, as it meant that I could chat to people out and about, and talk to the women and the staff at the hospital. It made a big difference to my experience. I also had the opportunity to go on a weekend safari with some of my Work the World housemates. Safaris can be organised through Work the World, so be sure to ask about it when you speak to one of their consultants. In the morning, we were picked up and went on an 8-hour drive through beautiful plains and mountains. When we arrived, we freshened up and went straight out on a game drive. It was truly amazing; I saw elephants, zebra, giraffe, hippos, lions, warthogs and many others. Our personal guide helped us remember the Swahili names of the animals by getting us to shout them all out. I also had the amazing opportunity to visit the Maasai tribe. 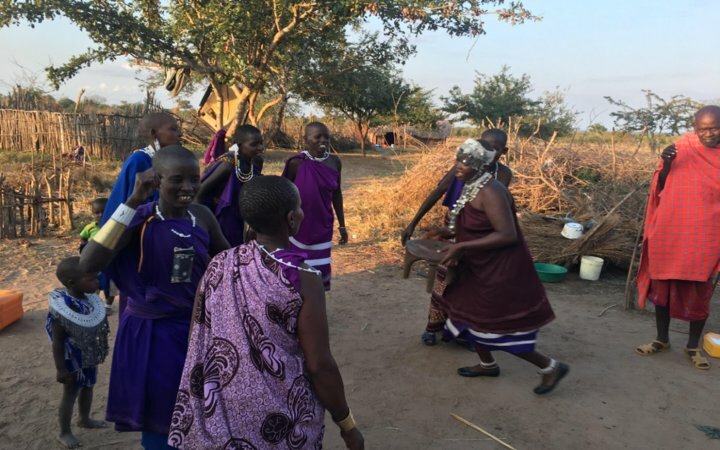 They were warm and welcoming, showing us traditional dancing, letting us try on their tribal clothing and teaching us about their history and culture. On my second weekend, I went to Zanzibar—a beautiful paradise island with white sand and crystal clear sea. The ferry to the island was also amazing as we saw huge whales playing in the water! I took a tour involving a trip to 'Prison Island', snorkelling, a spice tour, and tour around Zanzibar Island itself. On Prison Island, I saw a giant tortoise over 100 years old! I had an amazing experience. The whole trip has given me confidence to bring back to the UK, especially when it comes to emergency situations. I saw birthing procedures and situations that I would likely never have seen in the UK, which greatly enhanced both my confidence and knowledge. 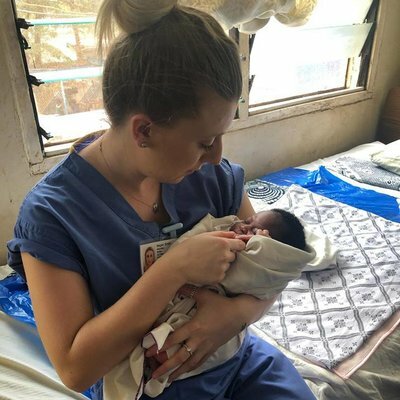 It was eye-opening to see how different situations were dealt with in Tanzania, and how mothers experience labour and birth in the Tanzanian healthcare system. I made lots of friends and we all went through the experience of a lifetime together. I’m so glad I found Work the World!